Marching band has changed a lot in the last several years. The old days of simple geometric shapes and follow-the-leaders to your favorite top-40 hits are over. 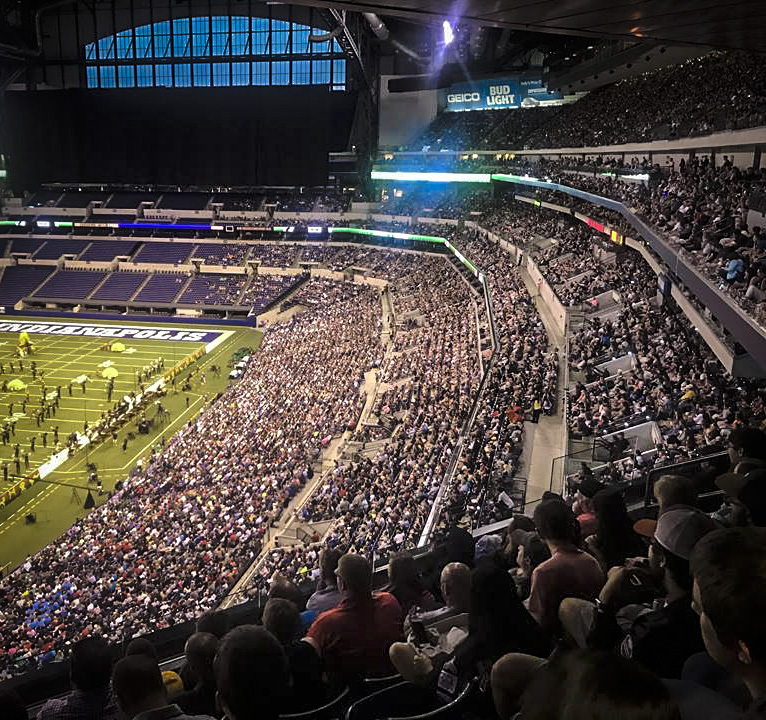 Marching band, drum corps, and other pageantry arts have evolved into deeper, more complex mediums for storytelling and entertainment, and it shows. You've never seen a group do this. That is unless you were at the Pride of Bixby Community Performance on Halloween of 2017. That night, the award-winning band from Bixby High School put on their last performance of the 2017 season, celebrating their fourth consecutive State Championship, a Class AAA BOA Super Regional Championship in St. Louis, and other successes. The season finale has become a tradition over the last few years and is well attended by parents and community members. There are always a couple of tricks saved for the end, but last year, that audience received a real treat. High school and college marching bands have been known to perform in the dark from time to time. Most often, the performers wear small lights or glow sticks, and perform the show exactly the same way (just in the dark). The performance you are about to see though, is different. There are no lights attached to performers, no glow sticks. At this show, Bixby brought in T-Town Productions and designed a light program from the press box, set-by-set, to match the scenes created during the show. The video below shows all of this combined in an impressive display. As the show begins, lights fade in on the field from the front sideline, casting shadows on the visitor stands. Spotlights follow soloists; blackouts and flashes are in sync with major hits; and colors change to follow the mood of the story. Seeing all of that with the electrified props and the powerful performance makes us wonder... is this a glimpse into the future of marching band? This was the first experiment with a full light production set to a competitive marching band that we could find, and it won't be the last. In fact, the next experiment with this technique takes place at the 2018 Zephyrus Marching Academy. There, Tulsa-area high school band students will be coming together for one week to prepare for the upcoming season and be a part of an experimental ensemble, Zephyrus Beta. Older PostGet 5% Off ZMA 2018! Zephyrus Arts Institute is an Oklahoma-based 501c3 organization.